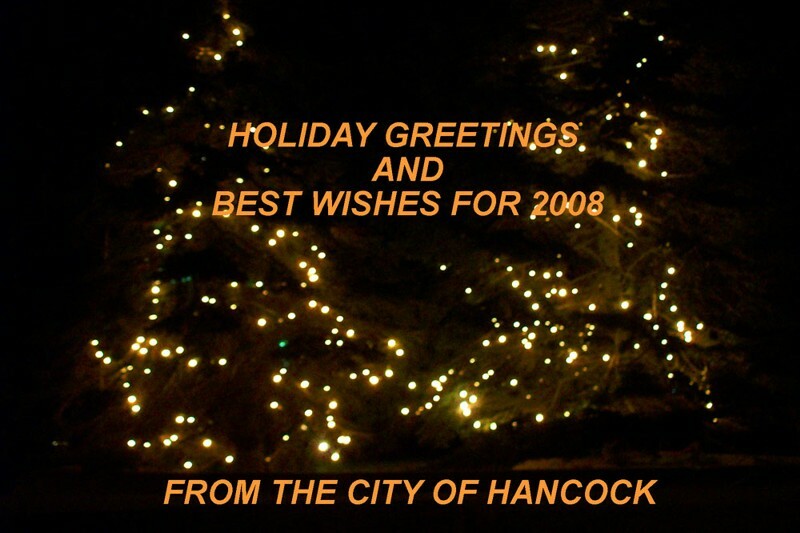 Hancock once again celebrates the beginning of the Christmas Season. 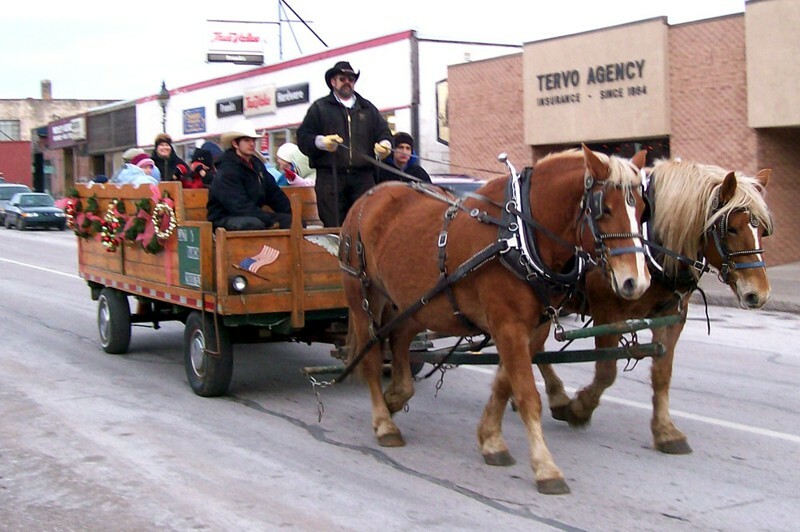 A horse and sleigh ride give residents and visitors a chance to see the City, and get a ride to see Santa at City Hall. 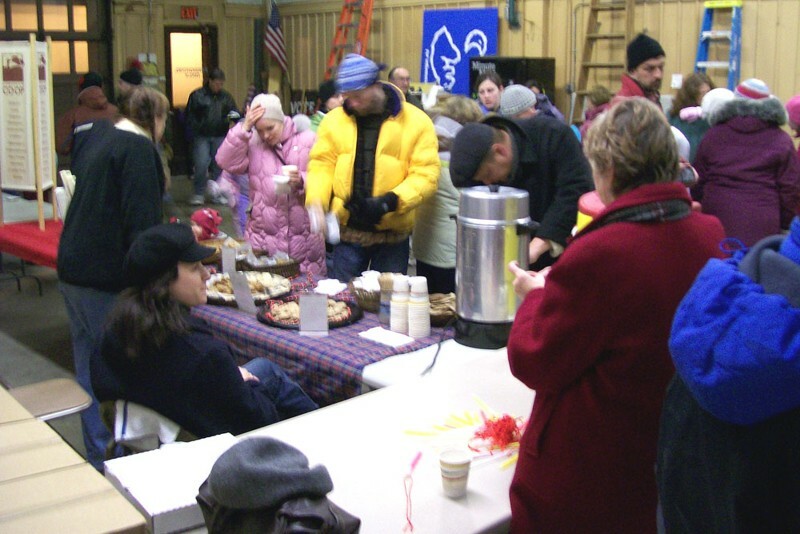 Coffee and goodies await those, as well as Santa Claus, and a chance to get together with other shoppers and those who wish to see Santa. 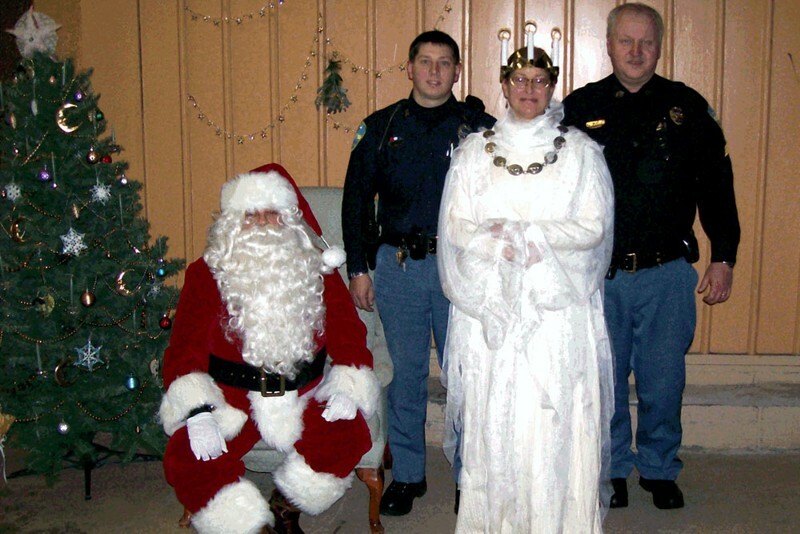 Santa and the Spirit of Christmas Past (Becky Weeks, who also served as Santa’s photographer), along with two of Hancock’s finest, Patrolman Jeremy Lassila (L), and Sgt. Jerry R. Hiltunen, who with the rest of the Hancock PD keep our streets and City safe. 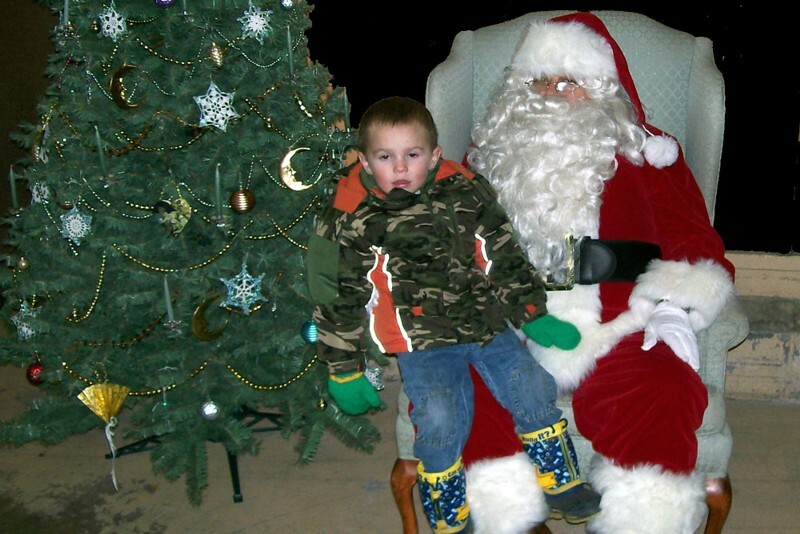 Santa hears the Christmas wishes of Marshall Beaudoin, of Hancock. 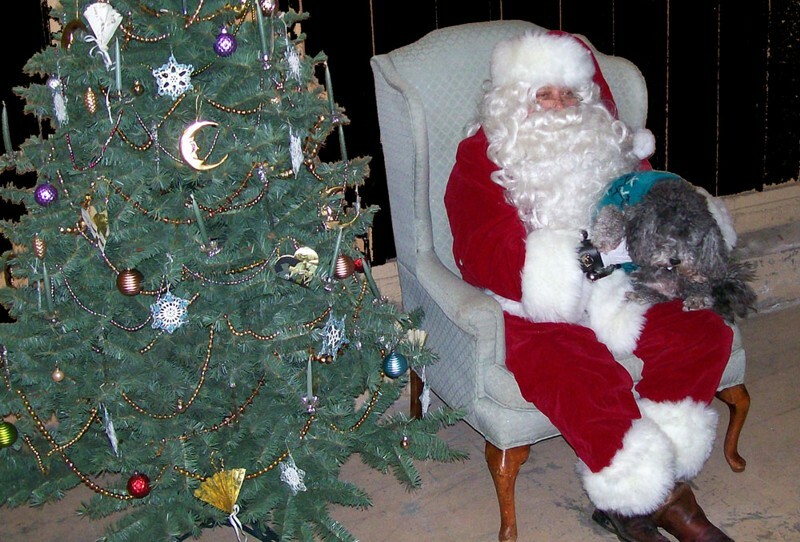 Even this four legged visitor had a wish for Christmas. With the Citizen’s Bank Christmas display as a back drop, our Christmas wish.